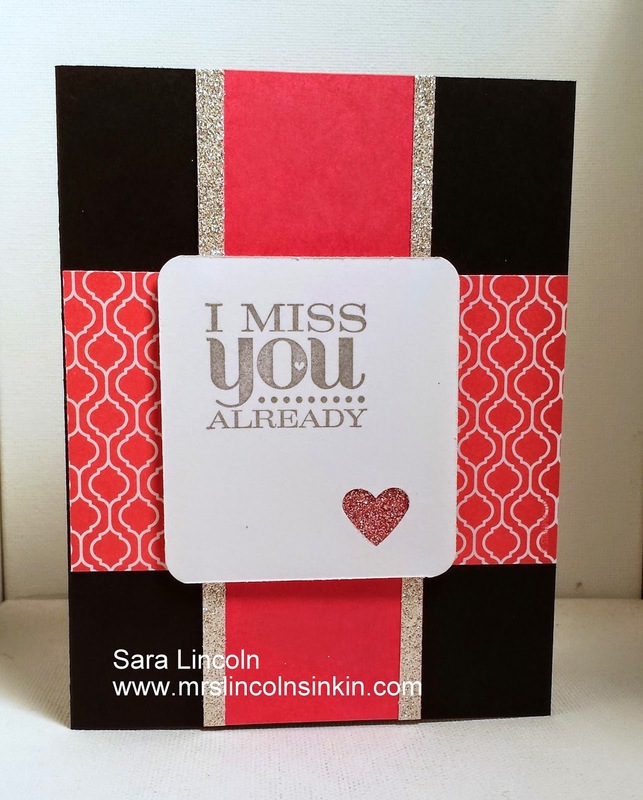 Mrs. Lincoln's Inkin: Miss You Already!!! Hi stampers! Welcome to my little place on the giant Web! I wanted to make my vocal point my saying on this card. I didn't want to take away from my greeting so i just added a simple punch out using my Small Heart Punch. 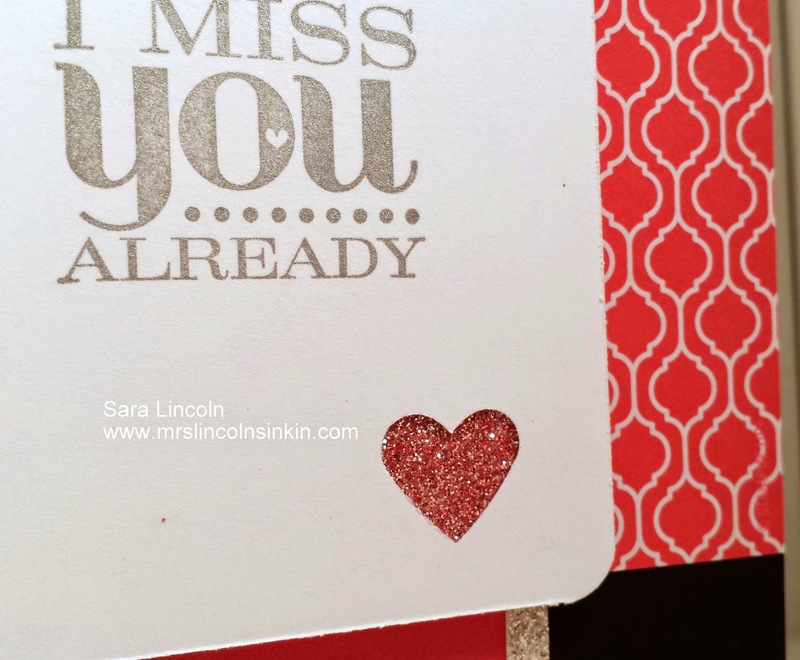 I wanted my heart to POP a bit so i took some Silver Glimmer Paper and then colored it with my Aqua Painter pen and Melon Mambo Reinker, let it dry for a few minutes and then i stuck it to the back of my card. It added just the right touch to the card. I chose to use Melon Mambo card stock, the Quatrefancy Specialty DSP in the Melon Mambo color and then Basic Black for my base card. I love Pink and Black together anyway but this card made me think of love.